The yummy taste and creamy texture is super similar to my favorite COCONUT BLISS ice cream. But this is super easy to make and WAY cheaper! 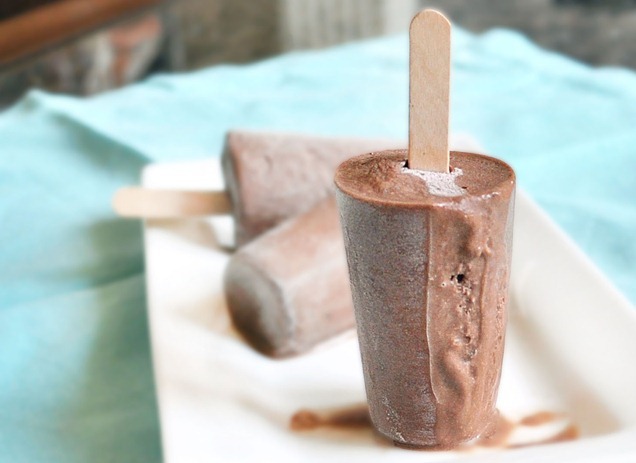 blend all ingredients in the Vitamix and then scoop into popsicle molds. Freeze and. Photo by and courtesy of ChocolateCoveredKatie.com. +++ For all fellow health nut chocoholics, be sure to check out her website for millions of other delicious and easy-to-make chocolate recipes!